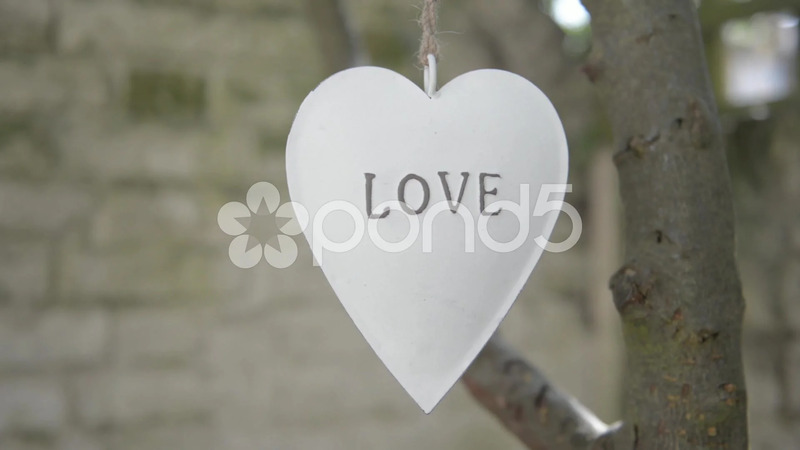 Description: White colored heart shaped ornament hanging on a tree by an old piece of string. The string is tied to a branch and the heart shape is gently swaying in the light breeze. On the ornament the word LOVE is written.